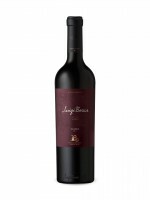 Widely available and highly recommended, Luigi Bosca’s Malbec comes from a single estate in the Vistalba region of Mendoza. This offers nicely integrated flavours (a mix of red fruit, spice and espresso notes) and a refined structure that make this one of the more elegant expressions of Mendoza Malbec currently available. Drink now to 2021 for best enjoyment.